Grand Theft Auto V did $800 million in first-day sales. And why was it so hotly anticipated? Well, it’s the most ambitious installment in the franchise, with an absolutely massive (and gorgeous) world that you get to experience from the viewpoints of three wildly different and entertaining characters. 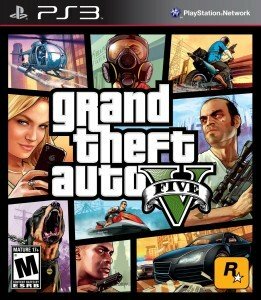 The main storyline is great fun, and all the classic GTA elements are out in full force: customizable cars, a TON of guns, a huge variety of side missions (ranging from yoga to tennis to hunting to strip clubbing), and excessive vulgarity and violence. Believe the hype–this game really is something special. 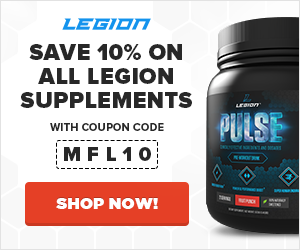 I recently decided to start learning other languages (beginning with German), and after trying a couple products (Michel Thomas, Rosetta Stone, and Pimsleur), I like Pimsleur the most. The lessons are short (30 minutes) long, so you can get through at least one per day. You start out by learning essential grammar and vocabulary, as opposed to random nouns and verbs. The repetition is just enough to maximize retention without boring you to death. The MP3 format is great–I upload the courses to my Google Music account and use my phone to go through them while I drive, do cardio, etc. I’m about 100 hours into learning German and am at a point where I can understand and participate in basic conversations. 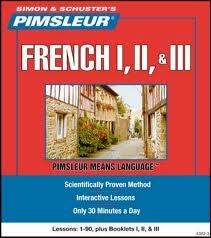 I figure 300-400 hours will achieve fluency, and Pimsleur has courses to take me all the way up to that point. If you’ve been wanting to learn a language, I highly recommend you give a Pimsleur course a go. 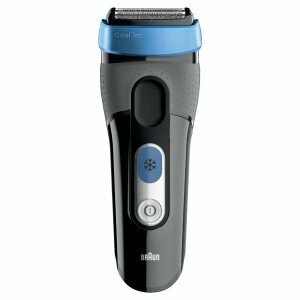 As far as high-tech shavers go, the Braun Cooltec is the king. Its big innovation is an active cooling element that helps soothe your skin while you shave, and thus reduce skin irritation (it’s particularly good for people with sensitive skin). Its blades are also configured to deliver a close shave without actually touching your skin, further reducing irritation. It can be used in or out of the shower (dry/wet), the docking station also cleans the device, and it fully charges in about an hour. A good pasta is one of my favorite types of entree, and this is just an awesome pasta cookbook. It not only has over 100 delicious recipes, it also teaches you everything you didn’t know you didn’t know about pasta. It begins with an introduction to ingredients, recipes for a few types of pasta and several sauces), and then delves deep into a huge range of pastas. 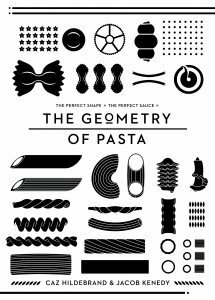 For each pasta, you’re given a brief history lesson, a detailed description, and ideal sauce pairings, and in some cases recipes and black and white illustrations. This is just an all-around slick product, and I’ll be getting a lot of mileage out of it.